Freddie has been selling beautiful floral arrangements from the Justflowers flower shop to punctuate important events in the lives of his clients since 1988 - and still cannot help to enjoy every day on the job. 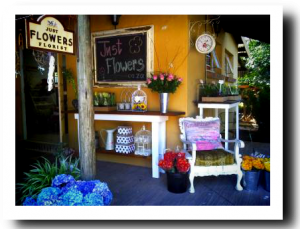 It is amazing how many people come back time and again for his beautiful arrangements and friendly, laid back service - which explains why he is such a well known florist in his native Northern and North-Western suburbs of Jhb. Freddie embraced the internet early on - way back in 2000 - when he expanded the business on to the internet. It was a pleasant surprise to find that he could comfortably compete in the international market and that the same values of excellence and friendly, efficient service was as important to international clients as it is the locals around Johannesburg. Today, and from this web site, Freddie still serves clients from all over the world with the same gusto and quality the local regulars are used to; and he strongly believes his most important asset is his fiercely loyal client base. How can this not be fun?